West Indies 6-297 (Darren Bravo 71, Johnson Charles 58, Ramnaresh Sarwan 55, Shaminda Eranga 2-38) beat Sri Lanka 280 (Kumar Sangakkara 56, Dilhara Lokuhettige 42, Dwayne Bravo 3-26) by 17 runs. The Carribeans proved their worth in the limited overs cricket by displaying an all round performance vs. the Lankan Lions who lost the game by a close margin. The Windies amassed 297 runs for the loss of just six wickets at the end of the stipulated 50 overs and the Islanders scored 280 before they were bowled out in 47 overs. The ICC Champions Trophy Warm-up Match was held on Tuesday, June 4, 2013, at Edgbaston, Birmingham. Angelo Mathews won the toss for Sri Lanka and asked West Indies to go first for batting . 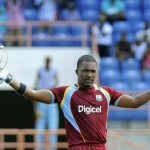 Chris Gayle along with Johnson Charles started off nicely and went after the bowling from the word go. Charles was the most aggressive of the two and scored boundaries at regular intervals whereas Gayle was playing a subdued innings. Johnson Charles got his fifty as both batsmen departed one after another at 87. Chris Gayle was caught and bowled by Thisara Perera for 22 without a single boundary whereas Charles was removed for 58 off 50 balls with 9 fours. Darren Bravo and Marlon Samuels maintained the tempo of scoring and took the score to 122 in 21.2 overs as the latter was gone for 18. Ramnaresh Sarwan Walked in next as Darren Bravo continued with his classic style of batting while hitting a few lofty sixes. Sarwan demonstrated a controlled knock and the score board kept on moving at a reasonable pace. 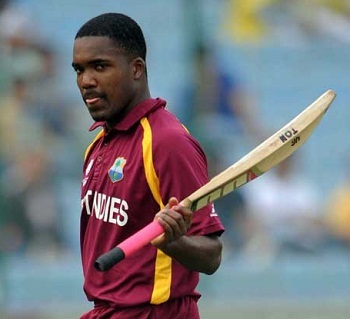 Darren Bravo was retired hurt for 71 off 96 deliveries with 3 big sixes and even fours. Ramnaresh Sarwan went off the field in an identical manner by smashing 55 off 64 with 1 six and 3 fours. Kieron Pollard played a hurried unbeaten knock of 29 with 2 sixes and 2 fours as the Caribbeans piled up 6-297 after 50 overs. Thisara Perera and Shaminda Eranga were the top wicket takers with two each whereas Lasith Malinga and Tillakaratne Dilshan claimed one wicket each. Kusal Perera and Tillakaratne Dilshan opened up reasonably well for the Lankan Lions. They scored 39 runs in the initial six overs with the assistance of 1 six and 6 fours when both of them departed back to the dressing room for 24 and 15 runs respectively. The experienced duo of Mahela Jayawardene and Kumar Sangakkara got together and were carrying on towards the target. They negotiated the bowlers according to merit and the loose ball was directed out of the rope. The third wicket partnership was dismantled at 101 in 17.4 overs when Jayawardene was unluckily run out for 29 runs. Sangakkara secured his end whereas Sunil Narine penetrated through the middle order by taking the important wickets of Lahiru Thirimanne and Angelo Mathews cheaply. Jeevan Mendis tried to stabilise the innings with Kumar Sangakkara who attained his fifty in the process. Mendis was caught behind by Denesh Ramdin off Tino Best at 166 in 30.4 overs after scoring 17 runs. Sangakkara followed him two runs later for 56 off 62 deliveries with 1 six and 5 fours. Nuwan Kulasekara and Dilhara Lokuhettige kept the chase alive with aggressive batting as the latter lost his wicket for 42 off just 29 balls with 1 six and 5 fours. Nuwan Kulasekara stood firm at the crease for 40 off 47 with 4 fours as the innings of Sri Lanka was folded back for 280 with 18 balls to spare. Dwayne Bravo was the supreme bowler with three wickets, Ravi Rampaul and Sunil Narine held two each whereas Kemar Roach and Tino Best shared one wicket each. West Indies triumphed in the interesting encounter with a margin of 17 runs and they must be pleased with their achievement prior to the 2013 ICC Champions Trophy due to start in a couple of days.